Be the First to Schedule Your Appointment! Limited Time Only! We will be offering $3,000 below invoice pricing on new vehicles. 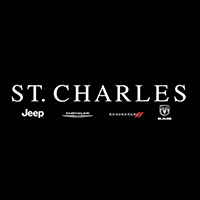 This year, at St. Charles CDJR we are upgrading our deals to be the biggest and best of the year! Hurry in, and steal this deal before it’s gone! Be the first to reserve this offer by filling out your information below. We will be in touch with you shortly after to finalize the reservation.